Harvey A. Schwartz, author of “Never Again” was the first featured guest on America’s Work Force Radio. 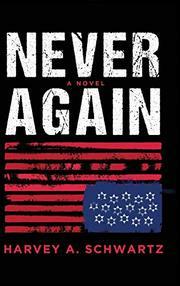 On Nov. 1, Harvey A. Schwartz sat down with AWF host Ed “Flash” Ferenc to discuss his novel titled “Never Again” and how it relates to our current political climate. Schwartz also talks about his time as a lawyer and the time he represented a Nationalist group because he believes in protecting everyone’s first amendment rights. He finishes his time on the show by talking about political laws and political trends and how they could be changing with the midterm election approaching. 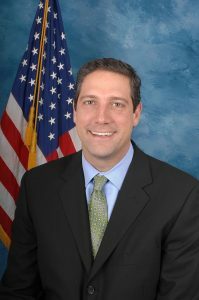 Congressman Tim Ryan was the second featured guest on America’s Work Force Radio. Tim Ryan, who has been working in congress for 16 years, joins us on the show to talk about the current political landscape and possible changes that we could be seeing with the upcoming midterm election. Ryan also discusses the small car market in the United States and the current economic system and how it is a loss for the working person. Show host Ed “Flash” Ferenc talks about the refugees coming to the United States-Mexico border and what President Trump is doing to try to prevent them from entering the country. This entry was posted in Union Radio and tagged Congress, Ed "Flash" Ferenc, Harvey A. Schwartz, Nationalists, Never Again, Ohio District 13, Tim Ryan by awfblog. Bookmark the permalink.